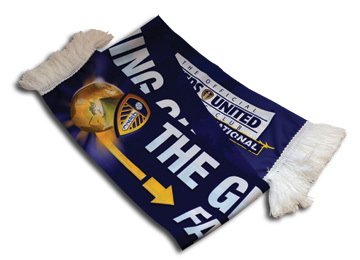 To become an official member of Leeds United NSW and be able to influence matters regarding the operation of the club, you must hold a current Leeds United membership number. For existing members of Leeds United, simply get in touch via the Contact Us page on this website, and send us your full name, your membership number, and details of your preferred method of contact. For potential new members, international memberships can be purchased via the football club's website here. Once you recieve your new membership number, just forward it on to us. International membership is £25 (approx. $45). You will recieve a membership card, 10% discount on all purchases made at the online superstore, and an exclusive international member's scarf, along with a range of other benefits. For full details click here.